When you picture Patagonia, what comes to mind? Mountainous vistas as far as the eye can see? Majestic pumas? Giant, dinosaur-like Condors? Big Lakes and roaring rivers? Perhaps Indigenous Mapuche living since time immemorial among crystal blue streams, fields of wildflowers, and shimmering glaciers capping the mountaintops? 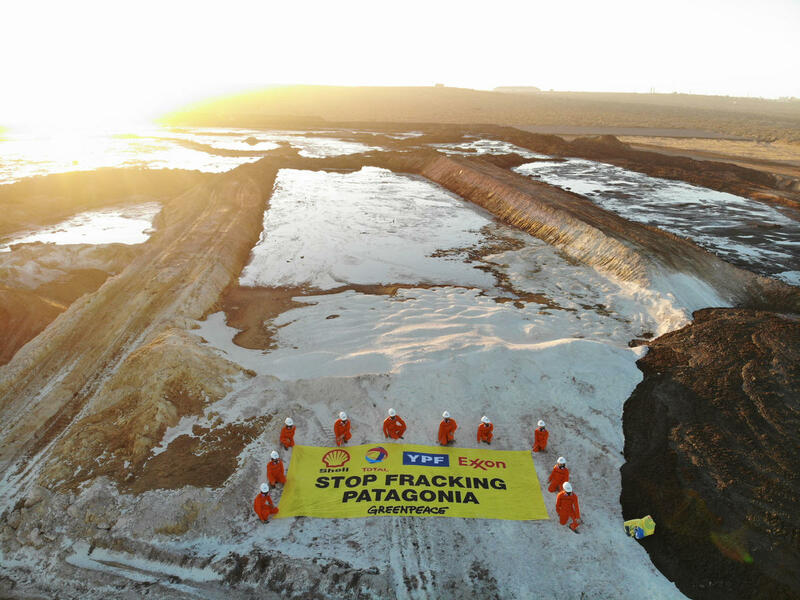 Now imagine you are an oil executive working at Shell or Total — two of the companies that are have begun to frack Patagonia. What do you think they see when they look at Patagonia? Some of the world’s last untapped, hardest-to-access oil and gas? Dollar signs? 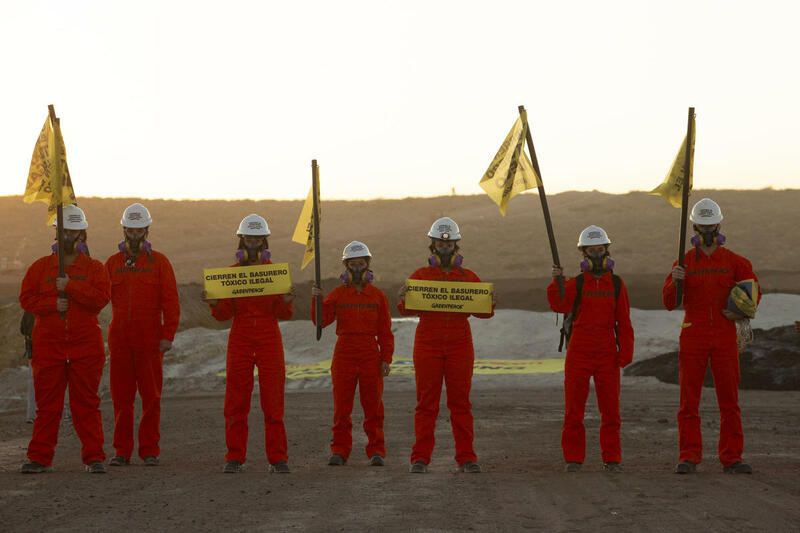 We know they’re aware of the climate crisis this kind of extreme oil extraction is unleashing on the world. 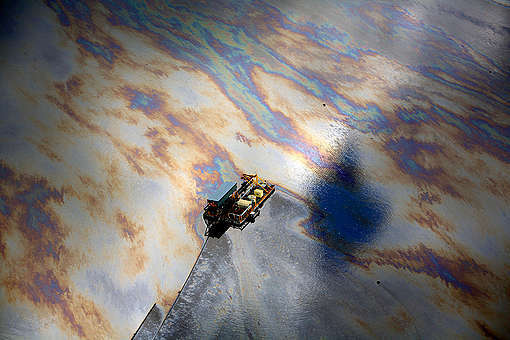 Please, click here now and sign to join the global movement to end the oil age! 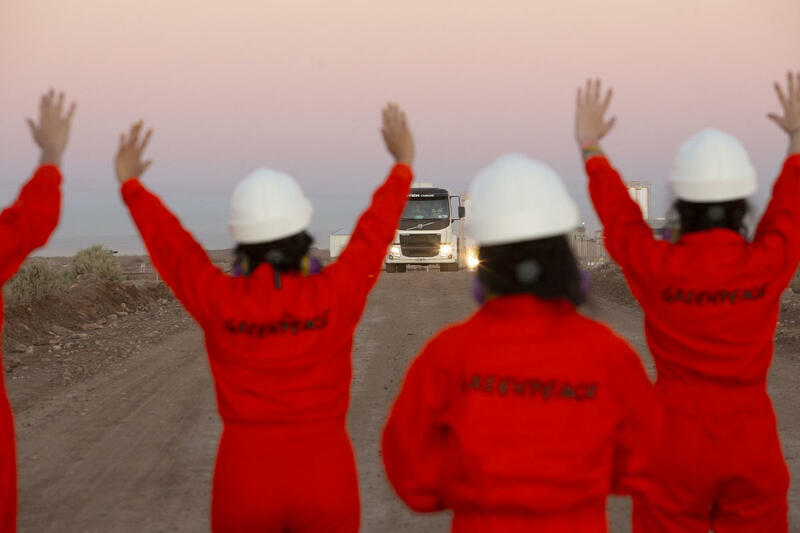 Early this morning, 33 activists from Greenpeace Argentina infiltrated a site near the fracking operations in Patagonia, to block trucks carrying toxic oily waste from fracking operations. 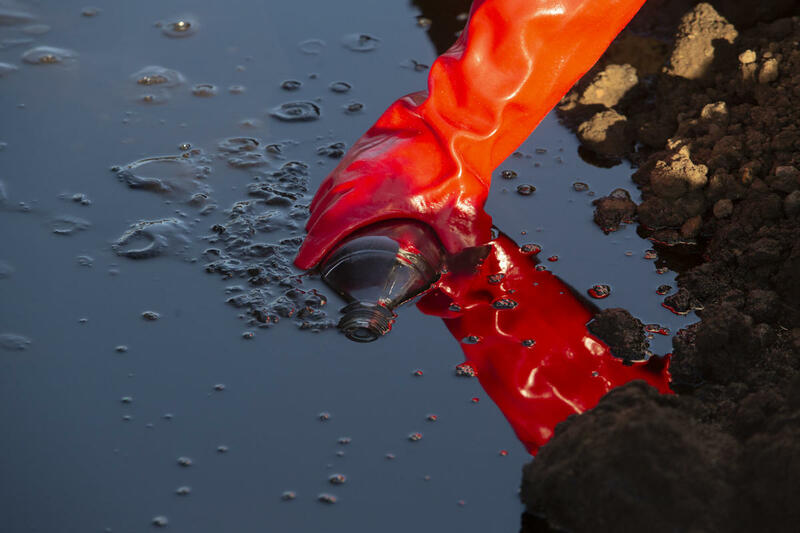 Oil companies, including Shell and Total, are using an illegal dump where the waste is discarded directly onto the soil, close to a residential area and one of the region’s major water supplies. In December, after a six-month investigation into the activities at this site, we wrote to the oil companies in question to inform them of the results of our investigation, and gave them fair warning that we were going public with what we had unveiled. Since then, they have yet to take any action — so we had to. Oil companies risking polluting the waters of Indigenous Peoples while ignoring community opposition and paying only lip-service to the planet-changing impacts of their “business” model? If it sounds all too familiar, that’s because it is. You’ve seen — and stopped — this very thing many times before. Over the last few years, millions of people just like you have come together to put an end to similar reckless behaviour by Shell in the Alaskan Arctic. 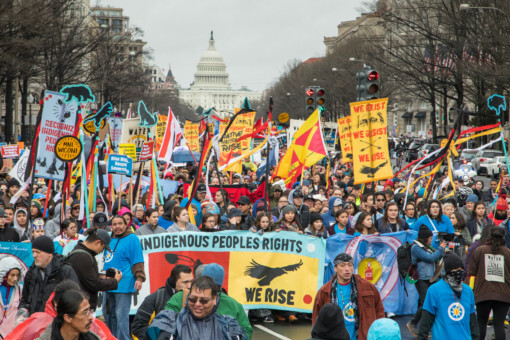 You took to the streets and rose up against big banks financing climate-killing pipelines that snake across North America, infringing on the rights of Indigenous Peoples and poisoning water supplies at every turn. And when Total tried to drill the precious Amazon Reef, two million of you gathered from across the world to fight back — and won! In 2016, after immense public pressure, BP withdrew its plans to drill in the Great Australian Bight — and Equinor keeps delaying. And, after nearly a decade of fighting Big Oil in New Zealand, you helped bring about a ban on new offshore oil and gas licenses! This peaceful action today is part of a global movement of people all around the world who are standing up against Big Oil and demanding accountability from some of the world’s richest and most powerful corporations — like Shell and Total — that are at the forefront of blocking climate justice. 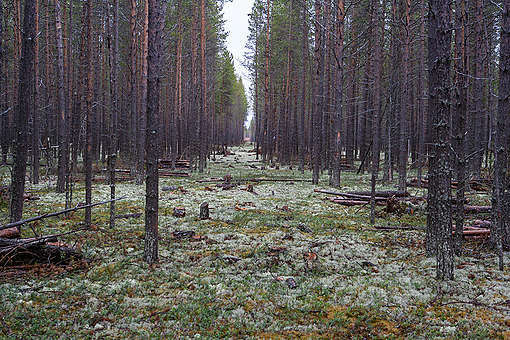 A dramatic report issued in October by the Intergovernmental Panel on Climate Change (IPCC), laid out in no uncertain terms that we are way off track for limiting global temperature rise to 1.5 degrees, and in fact heading toward catastrophic 3 degree change. This means millions of lives at stake, a human migrant crisis on a scale we’ve never seen, massive drought, food shortages … I could go on, but I think we all get the hella depressing, over-the-top gist. This is the moment we must urgently keep oil in the ground — not open new fossil fuel frontiers like Patagonia. Already youth around the world are rising up to demand climate action, and their bravery is showing politicians we are not willing to wait any longer. But it will take all of us, in every corner of the world, drawing a line and protecting the places we hold dear. We are the generation that ends oil. "This is a huge victory not just for Greenpeace but for anyone and everyone who has ever stood up against powerful corporate interests."